One of America’s best-known packaged food companies wanted its managers to better understand how their decisions affect the bottom line. By using Zodiak®:The Game of Business Finance and Strategy from Paradigm Learning within its training curriculum, Del Monte Foods has enhanced the business acumen of its managers. The business of producing and distributing packaged foods is highly competitive. Profitability depends heavily on innovation and building brand loyalty, as well as on driving highly efficient and effective operations. In this environment, it is important that business leaders and managers have strong business acumen. This is certainly true at Del Monte Foods, one of the largest and most well-known producers, distributors and marketers of premium-quality, branded pet products and food products in the United States. In order to best equip employees to drive business success, the company seeks input from leaders about development opportunities for employees who are involved in all aspects of Del Monte’s production and distribution processes. Frontline employees were found to require technical knowledge and skills, while mid-level employees indicated a need for broad-based leadership skills. The unifying element, says Del Monte’s Director of Organization Development and Training, was a better understanding of how the company makes and spends money and, even more important, how these financial realities translate into organizational and departmental strategy. 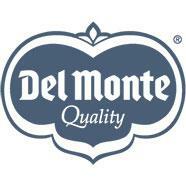 Because Del Monte is a company with a relatively flat management structure, managers are given a high level of responsibility and autonomy to make key decisions; therefore, business acumen is critical to helping them make business-savvy decisions in sync with the company’s financial and strategic goals. 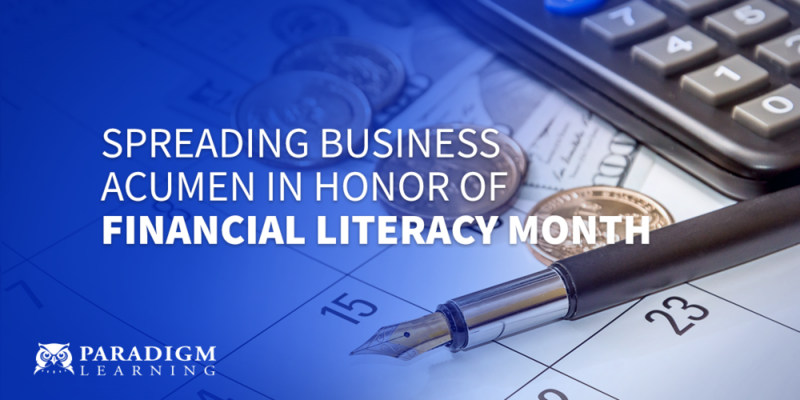 The organizational development and training team searched for a learning experience that would provide a broad-based foundation of financial literacy while strengthening the overall business acumen of its leaders. They knew the experience would have to be dynamic and engaging in order to overcome the potentially dry nature of the subject matter. They also needed an experience that would be time-efficient and flexible. Their search led them to Paradigm Learning’s Zodiak: The Game of Business Finance and Strategy. The organizational development and training team ran pilot sessions for groups at the vice president and director levels to evaluate whether Zodiak would meet their needs. It did. The course was selected to develop financial literacy and business acumen while reinforcing the company’s approach to business planning. Zodiak is a sophisticated board game based on a proven educational principle called discovery learning, which says people successfully learn and retain material when they are actively involved in the learning process. In this case, participants are thrust into a competitive situation in which they roll dice, flip cards, move money pieces and make decisions as they manage a fictional company for three simulated years. In Zodiak, small teams work around a table-sized game board as they are plunged into a three-year challenge to run the Zodiak company. They invest their own money, attract investors, take out bank loans, pay bills, make capital purchases and develop new products. In the process, they move chips (money), make decisions, get blindsided by chance events, analyze their results on income statements and balance sheets, and answer to shareholders. The language of finance becomes easy, and the link between strategic decisions and the bottom line becomes clear. After playing the game of Zodiak, learners transition into exercises that delve into their own company’s financial terminology, ratios and concepts, as well as the strategies and initiatives that are driving financial success. “Zodiak pulls you out of your functional role and enables you to look at the bigger picture,” says the Director of Organization Development and Training. Using a game is an “extremely attractive” approach, supporting the learning and retention of key financial concepts and skills. She says, “You bring the depth of your role to the learning experience, and Zodiak gives you a broader business understanding and perspective about how Del Monte operates.” Zodiak does not “lock out” any employee, she says, because everyone fits somewhere into the picture of Del Monte’s success. Zodiak has received excellent ratings from participants in post-session surveys. The most common words used are “valuable” and “applicable,” said the Director of Organization Development and Training. Especially enlightening, she reports, is when participants work during the afternoon session with the Del Monte Business Model. As the Director of Organization Development and Training says, during the Business Model exercises, learners tend to pay special attention to where cash may get bottlenecked and why. The customized Del Monte Business Model and accompanying company-specific exercises are used during a session known as “Connections” immediately following the Zodiak simulation. These exercises focus on “high return” areas of the business and allow learners to leave the session with a better understanding of financial realities, strategic priorities, and the relationship between these and their own responsibilities and actions. Zodiak is particularly effective in helping participants make these connections, the Director of Organization Development and Training says, and she and her team will continue to develop additional ways to reinforce participant insights. For example, further work around a key Del Monte financial ratio – EBITDA (earnings before interest, taxes, depreciation and amortization) – has been identified as an additional integration point. The bottom line? Zodiak has been a valuable tool in Del Monte’s quest to maintain its strong competitive edge. Although it’s not mandatory for managers to attend, business leaders select employees whose role at the company provides high potential for bottom-line impact and personally encourage them to attend sessions.